Here is a rather lengthy picture book take on Archimede's bath. 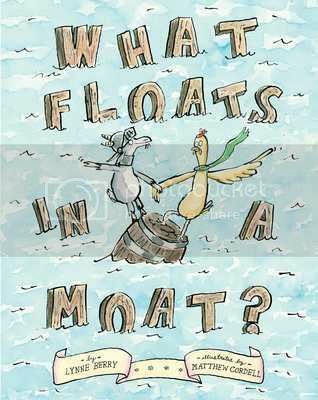 Archie the goat tries to float across a moat. For science! In rhyming text, Skinny the Chicken gains much weight from downing all the buttermilk in their efforts to get the barrel properly afloat. I liked the angry queen pig. The pen and ink and watercolor illustrations are reminiscent of William Steig's work. The story is appended with an author's note on water displacement. 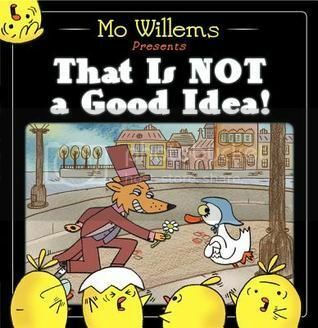 Mo Willems has struck gold again with another very funny, action packed story. Where's the piano music for this take on an old black and white silent film? A trio of baby chicks repeat, "That is not a good idea!" as a sweet and silly goose is seemingly lured in by a unctuous fox. Similar in theme to Richard Waring's classic picture book Hungry Hen, children will love the fabulous surprise ending. Let's blame an imaginary friend for tantrums. 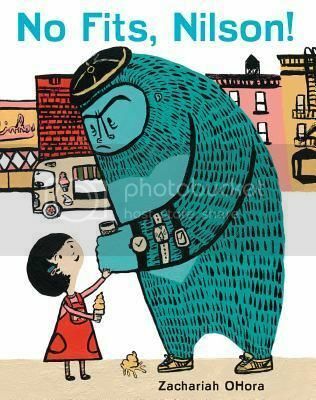 Nilson is a charming gorilla, who sometimes causes his friend Amelia problems when he decides to go ape. I appreciated small details such as Amelia staring him down and repeating the words "banana ice cream" over and over. Tiny text emanates from her eyes, as she hypnotizes Nilson with the promise of a treat for good behavior. Any child who's ever struggled with self-control will relate to this humorous offering. 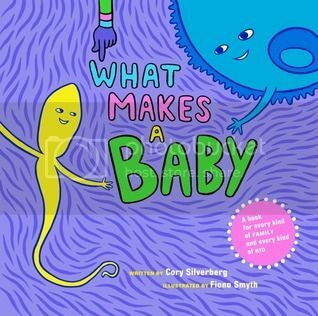 This matter of fact volume describes all the ways how modern-day babies are made. It's informative and welcoming for any and all kinds of families - gay, lesbian, adopted, conceived by IVF or surrogacy, etc. Very literal-minded little ones may struggle with the poetic license, "they swirl together in a special kind of dance... the egg tells the sperm all the stories it has to tell about the body it came from..." Bright neon illustrations of yellow, purple and green people are reminiscent of Todd Parr or Keith Haring's work. Highly recommended, as it gets across the message to a child that they are loved and appreciated for who they are with questions such as, "Who was happy that it was YOU who grew?" and "Who was waiting for you to be born?"